we can help you out of the forest and back on the right path to be found. A simple change in your website keywords could make all the difference. While keywords don’t play as much of a major role in your website ranking as they used to, it’s still important that your content is easy for Google to index. For this reason, keyword research is a critical element to consider prior to commencing your website development. 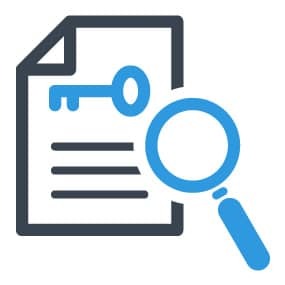 Even if your website has already been built, we can review your site’s content and provide an analysis of all your content to ensure you have the right keywords representing your niche and also the correct keyword density to get noticed. So if you’re not getting the results you want online, talk to Smartfish about keyword research for your site. Improve your website with keyword research services! Need a quote on keyword research for your website? Request a free quote….